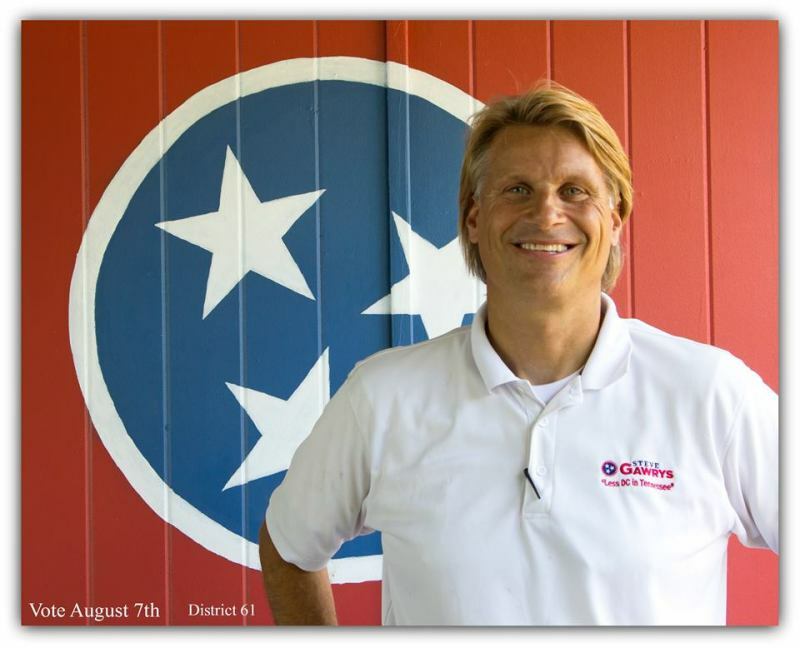 Brentwood businessman Steve Gawrys, who is running for the 61st House District seat against incumbent Rep. Charles Sargent and doctor Terrence Smith, recently gave his answers for Williamson County residents. When you ask Williamson Countians what’s the biggest problem they want addressed, it is traffic. What sort of traffic solutions do you advocate, and how do you pay for them? This is not only a Williamson County issue, but a state issue, and the key is to be pro-active, not reactive. State officials allowed real estate to develop, and waited far too long to widen roads like Concord Road. We already know that East Williamson County is exploding with growth. Pro-active road expansion in those areas should be a priority now, not later. Furthermore, growth is exploding in the suburban areas (i.e Williamson County and Rutherford County), yet our state officials have been more interested in developing Metro, or building unused roads in rural communities. My opponent is the finance chair for the state of Tennessee. He should explain to voters why the state “borrowed” $250 plus million from the Tennessee road development budget, and has yet to be fully repaid. Tennessee has nearly $1 billion surplus sitting in the state treasury. Washington, D.C. spends more per student than most school systems throughout the country, but have poor results. If we are not careful, the same could happen locally. I believe we should call for smart spending, not bigger spending. The legislative session is 90 days. Do you think the priorities based on the legislation and time spent on legislation are appropriate? Rank them on the most pressing issues facing Tennessee – health care, education, transportation, state economy, social issues and religion and culture. First, the “priorities” based on media reporting don’t actually reflect the time legislators spend on the “hot button” issues that attract more media attention than the more mundane aspects of legislating and governing. Second, my focus will be on issues that concern my constituents and their priorities, not the priorities of the editorial boards and newsrooms across the state. Also, the issues mentioned are equally important, and they are intertwined. How do we address education, economic and health care issues without involving discussions of religion, social and cultural concerns? Our textbooks include the teachings of Islam while denying equal treatment to our Christian faith. How do we discuss health care without discussing the oppressive effect that ObamaCare is having on small businesses and the financial disaster it has created in states that expanded it? How do we address road development without questioning why suburban areas have been denied proper funding? By the way, security was not mentioned at all, but we need to fight against unvetted refugees from countries with active terror groups being forced into our state. The terror threat is real and it is here, as we saw in Chattanooga and San Bernardino recently. We can’t ignore that danger or fail to take steps to prevent it. If our representatives are weak and allow illegal aliens the right to drive and dwell amongst us without proper documentation, that places a huge burden on our law enforcement officials and makes our neighborhoods less safe, not to mention the health risks of measles, TB and other diseases that are being reported across the country. I endorse the bathroom bill. The feds are trying to accommodate .03 percent of our population at the expense of our daughters. I oppose any political agenda that allows an adult man to enter a girls bathroom or girls locker room. Cool Springs has more “private” office space than downtown Nashville, so businesses are voting with their decisions of where to do business. We have a serious traffic issue in the suburban areas, yet the focus for our state representative has been helping Metro rather than Williamson County. My focus will be to ensure that our community remains a great place to live, work and raise our families. I oppose legislation designed to “force” subsidized housing upon suburban communities like Brentwood and Franklin, which would drive down property values. Inner city, or poor communities, face difficult issues. I believe the answer is to address the issues, rather than force feed those issues into other communities or by transplanting poverty from one spot to another. Policies that promote economic growth — low taxes, less regulatory interference with business and more freedom — are the answer, not government manipulation or dictates of where people live and work. We are a nation of laws. Legal immigrants who come to this country legally are not the problem. However, I have a serious issue with illegal immigration. I believe the state government should demand that employers verify legal status for every employee. Second, steps need to be taken to prevent Tennessee from becoming a welfare magnet state. Efforts should be put into law to prevent non-citizens from receiving health care, housing assistance and food stamps. In other words, members of our community need to be documented, and they need to be here legally. This is a safety issue. How do you put a cost on the stress created on our law enforcement officials if we are not willing to follow the laws of the land? When ever would Tennessee need a full-time legislature? Our founders of this country anticipated a part-time congress, not career politicians. The motto was to serve and go home, not remain forever and get little accomplished. With advances in communication and technology we can certainly accomplish the goal of keeping our legislature part-time. The Hall Tax is an unfair tax that targets our most productive citizens. I have long called for the complete elimination of the Hall Tax and for nearly a decade my opponent fought any repeal efforts. My opponent was so apposed to any repeal effort that he deliberately carried/sponsored the repeal bill so he could control it and then destroy it. It’s tactics like these that motivated me to run for office. Because the Tennessee treasury has nearly $1 billion in surplus, conservatives successfully passed a gradual phase-out, in spite of my opponents efforts. Sources tell us that my opponent and his treasurer (a high ranking Williamson County official) are so angry that they plan to enact overly aggressive property tax appraisals. Residents should check their property tax appraisals. Again, these are the tactics that motivated me to run for office. As a conservative, I oppose the expansion of Obamacare no matter what they call it. Supporters of Insure Tennessee talk about struggling rural hospitals. Not all rural communities can support a “full service” hospital, but instead should have limited services, just like Brentwood. TennCare nearly bankrupted our state. Obamacare expansion would bankrupt the state, and I will oppose it.